Click here for an interactive map to the MVRCC field. Right click on the push pin to get directions to the field from anywhere in the world. Take I75 to SR63. Take SR63 east to SR741. Turn north on SR741 and pass through Otterbein. 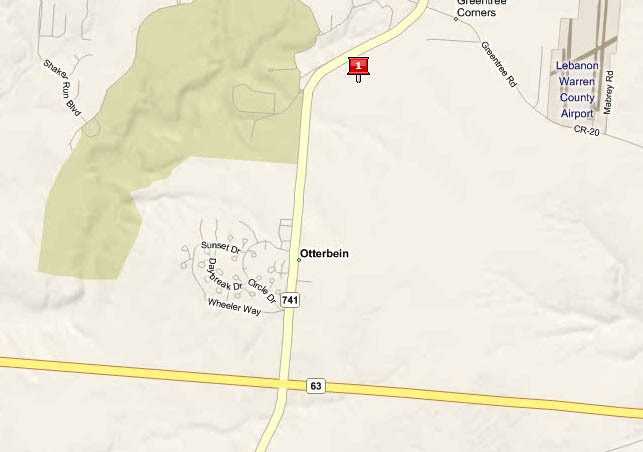 About 1/4 mile past Otterbein SR741 will begin turning to right. MVRCC field entrance will soon follow on right. Watch for the grain silo.